Take yours or their taste buds on an unforgettable journey through the Golden Age of Piracy with 2 of the legendary Doc Brown’s handcrafted Driftwood Smoked barbecue sauce’s with a “rummy” flavor, and 2 of Doc’s Large 24oz & 4 Small 4oz savory moist rum cake’s topped with heart-healthy walnuts. 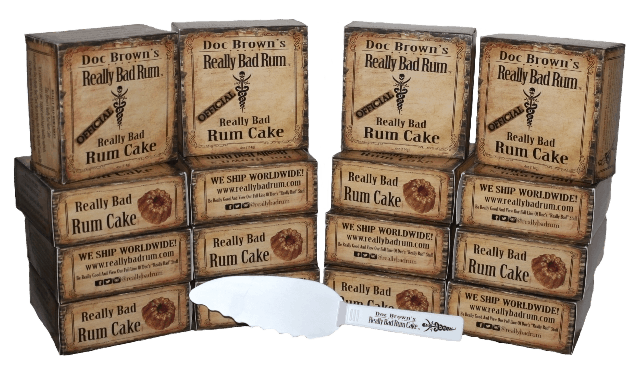 The unique infusion of Doc Brown Really Bad Dark Rum brings these rich, “rummy” cakes to life, and delivers with the gift of goodness in every delicious bite. Perfect Party Favors!! 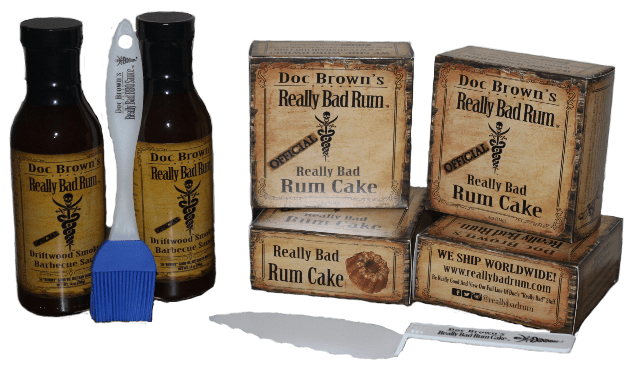 16 Small 4oz Cakes – FREE Shipping! 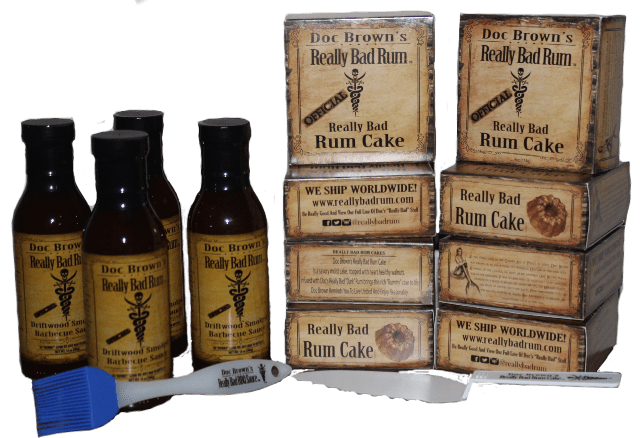 4 BBQ & 8 Small 4oz Cakes – FREE Shipping! 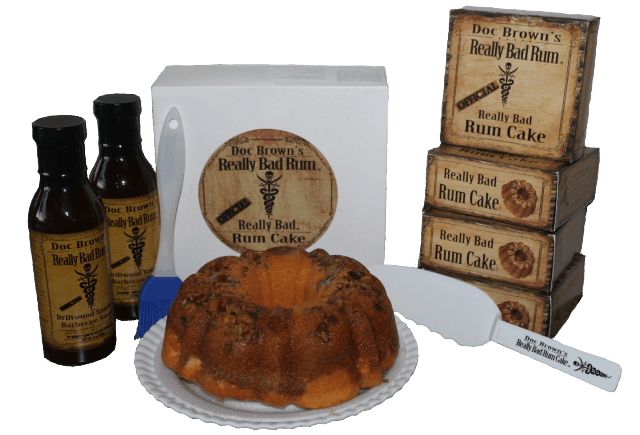 2 BBQ & 4 Small 4oz Cakes – FREE Shipping!